This Original paperback has had a touch up to the spine paper and cover corner and edges to front and back. 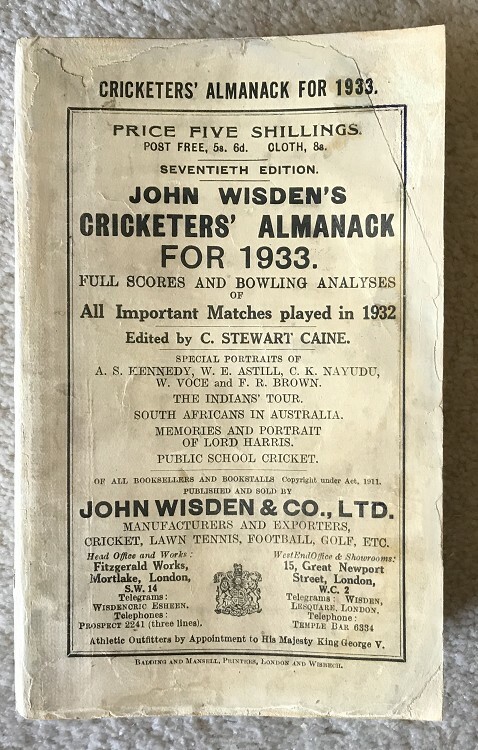 There is alittle bit of staining around the edges of a few pages at the front but other than that a nice clean Wisden, tightly bound with an excellent photoplate. No Bat Bookmark. If you do not mind a touch up or two this is the perfect Wisden for you at a great price.